Trade quality high performance aluminium oxide rolls for use on a variety of surfaces such as soft and hard wood, removal of paint and varnish, and on smoothing plaster. Durable E weight paper backing makes it suitable for both hand and power tools. 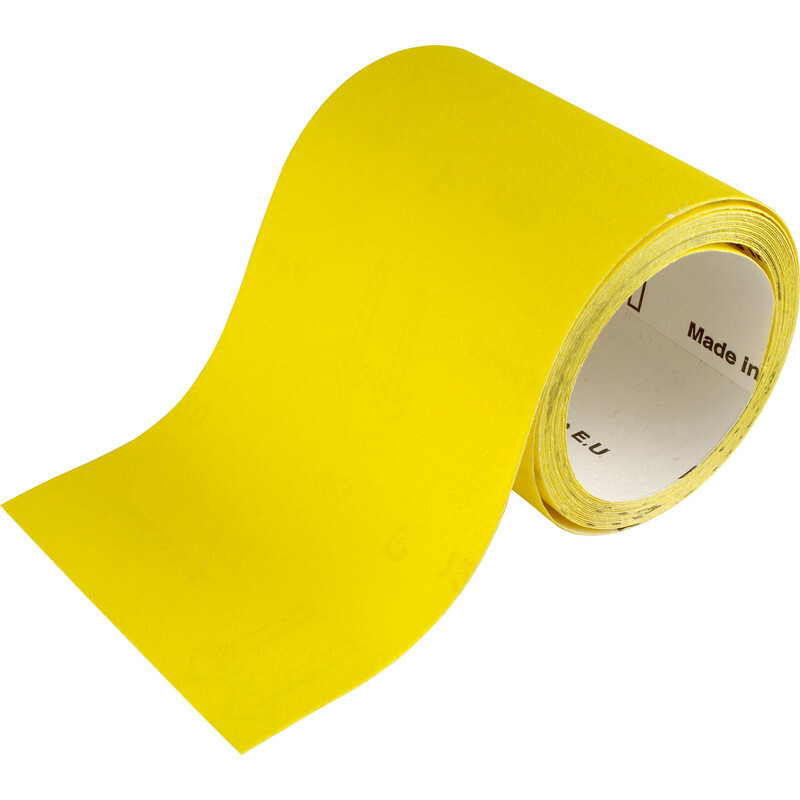 Flexovit Yellow Sanding Roll 115mm x 10m 80 Grit is rated 3.7 out of 5 by 9. Rated 1 out of 5 by Speechless Pete from No Longer Good Value I've used this before; it was a good quality paper with a stiff backing, so went for the same again. It might have the same name but it's not the same product. It's thin, cheap, degrades quickly and costs more! Rated 1 out of 5 by JOHN12 from RUBBISH Don't bother with this same paper, too thin wears out quickly. Rated 5 out of 5 by Dangira from Thank you Very fast delivery. Big selection of products. Will use this website in the future again. Rated 5 out of 5 by JohnH from Great finish Very smooth on plain wood, but don't try on varnished surface. Rated 4 out of 5 by keinic11 from Good value for money sandpaper I've bought this before, and will be happy to buy it again when I've used up this current roll.